At the recent Grand Prix Formula One event in Monza, Italy, Lego unveiled a functioning stylish recreation of the sports car that looks similar to the original super car from Bugatti. The wholesome toy company teamed up with the automaker to create a life-size model using more than 1 million Lego Technic pieces. It is the first large-scale movable construction developed and powered entirely by Lego motors. 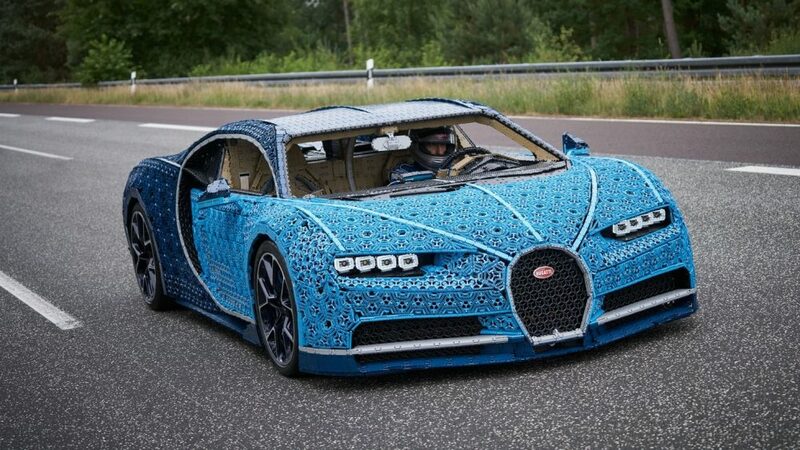 To build this full-sized Lego Chiron, it took over 13,000 work hours. The full-sized model is packed with more than 2,300 Lego motors and over 4,000 gear wheels. Lego Chiron has enough space for a driver and passenger to sit in comfortably. Lego Chiron is powered by two batteries, 80-volt for the motor and 12-volt for the steering. It even has a working brake pedal and speedometer that shows how fast it’s going. It has 5.3 horsepower and 67.8 pound-feet of torque, compared to 1,500 hp and 1,180 lb-ft in its life-sized big brother. This life-sized Lego version of Bugatti Chiron cost only $350 in comparison to the real Bugatti Chiron which will set you back $3 million.